Asghar Zaidi, professor of International Social Policy at the University of Southampton, will attend a United Nations event in New York (27 – 29 June) to help shape the way information about different groupings of people (young, old, men, women, those with disabilities etc) is used to help make the new global Sustainable Development Goals (SDGs – est. 2015) most effective. Professor Zaidi will give advice on data relating to ageing – giving evidence to a high level Expert Group Meeting – identifying priority issues to be addressed for future guidance for SDG follow up and review. He recently wrote a blog for the charity HelpAge International, setting out his opinions on ageing populations and the SDGs, which has been republished below. We live in a remarkable world in which people live longer than ever before. We are healthier and many of us look forward to our older age. With timely investments in supporting the contributions, experience and expertise of the growing number of older men and women, population ageing can become a vehicle for growth and prosperity for countries around the world. There is however a sustainability gap between the longer lives and the evolution of policies that capture these great changes, policies that would protect and empower older men and women. As a consequence, population ageing presents a greater challenge for policymakers in many countries worldwide. The new, more comprehensive post-2015 Sustainable Development Goals (SDGs) recognise the central importance of older men and women to the ideals of sustainable development. Particularly relevant is goal 3, which reads ‘ensure healthy lives and promote well-being for all at all ages’. Meanwhile, the fact that the SDGs make a broader commitment that ‘all indicators should be disaggregated by age’ brings great promise too. The Millennium Development Goals (MDGs), which ran to 2015, gave an exclusive place to women in their standalone goals on maternal mortality and a goal on gender equality and female empowerment. These goals contributed towards almost halving the maternal mortality ratio over the last 20 years. However, the development discourse until now seems to have given minimal attention to women beyond reproductive age. The SDGs provide unparalleled opportunities to place gender back on the emerging ageing and development agenda. Goal 5 is dedicated to gender: ‘achieve gender equality and empower all women and girls’. And it has a much broader (and age-inclusive) remit than its counterpart in the MDGs, supporting both older men and women to realise their potential and, in the process, maximising opportunities for prosperity and wellbeing for all. Indeed, every person should be able to live the best life that they can no matter their age and gender and with dignity and freedom of choice. The pledges of the SDGs that ‘no one will be left behind’ and ‘to reach the furthest behind first’ reaffirm human development approach of United Nations Development Programme, and the active and healthy ageing principles of the World Health Organization. They advocate for older people to lead a life they value and enable them to realise their potential as human beings, for their own wellbeing, as well as for the prosperity of countries in which they live. Monitoring quantitative and conceptually-clear indicators frequently can indeed be a powerful driver of change. Toolkits such as the Global AgeWatch Index and the Active Ageing Index, which has gender disaggregation at its core, can play a significant role in highlighting the policy priorities for countries around the world. Their content helps to identify contexts in which older people fare better, and point to policy interventions that are effective in empowering older people and ensuring their rights. In particular, active and healthy ageing strategies based on social investment principles prevent the loss of valuable expertise, preserve the wisdom of older men and women, and strengthen society's human and structural resilience. 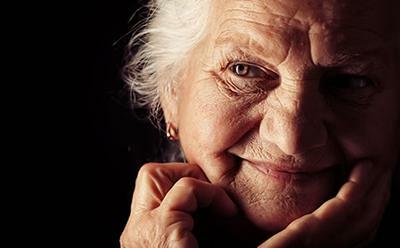 Indeed, with appropriate policies in place, and a belief in the potential of older people, in particular older women, population ageing can be a stimulus for sustainable development. Acknowledging and responding to the opportunities it presents should be higher on the agenda as is the case in the SDGs. To view the original article, please visit HelpAge International.